US President Donald Trump's official portrait. 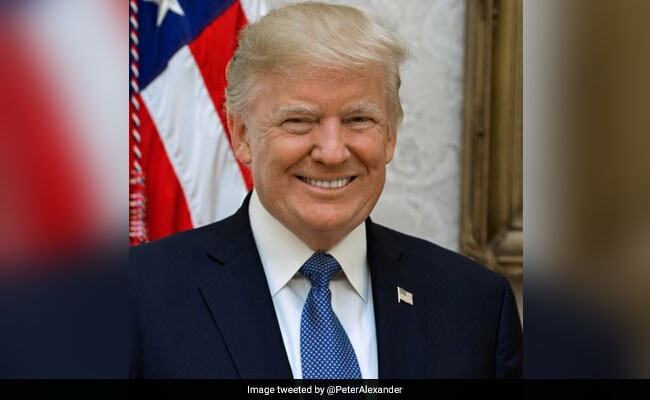 The White House released the official portraits of President Donald Trump and Vice President Mike Pence on Tuesday. The portraits were released nine months after Mr Trump took office, and have been 'liked' over 2,700 times on Twitter. According to CNN, Mr Trump's portrait was clicked at the Oval Office of the White House, in front of Thomas Jefferson's portrait painting, done by artist Rembrandt in 1800. The official portraits of the US President and Vice President soon inspired a slew of hilarious memes on Twitter, where people soon began to troll the two. We collected some of the funniest reactions to Donald Trump's official portrait for you to enjoy. Which meme did you like best? Let us know using the comments section below.